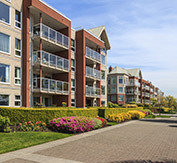 MRA Property Management, Inc. provides responsive, individualized property management services to communities throughout northeastern Maryland, Pennsylvania and Delaware. We strive to treat each community as if it were our only client. If we can be of assistance to you or your community, contact us at our Corporate Office: 410-515-7390. Below are resources readily available for community members.